Preventive Pest Services provides pest control in Murray and the surrounding areas. We take pride in providing exceptional customer service, and take to heart the feedback we hear from each and every one of our customers. Below you’ll find our reviews, testimonials, and feedback from the home owners and businesses in Murray we’ve serviced. If you need a Murray exterminator, contact us today! Great company, service is incredible, state of the art with technology through I-pads. Great service. Guys always friendly. Reliable. Come back in reasonable period of time if issues between service appointments.. Decent quarterly fee. Treated wasp issue & voles as well.???????? Happy with the service and the owner is a great guy. I manage property part-time and it has been such a relief to know I can rely on this company to take care of any issues. I did have one issue with recurrence of Pest and they made sure they made it out the say at no additional cause to solve the issue! That is wonderful service! You are very professional and your staff has been most helpful. Preventive Pest Control is great. I love that they brushed the spider nest off the eves of the house. My daughter is so happy we aren’t seeing spiders. Exterminator did very well with his job. We are most pleased with results. Exterminator knew his business. He answered all my questions thoroughly and clearly; really made me confident he would deliver on what he told me he would be able to accomplish and he did. Technicians always call before they arrive and do a great job. Customer service is very nice and make sure they get me the soonest appointment possible. Awesome company. I was impressed by the great service I received from your company. Thank you for being timely and professional. Looking forward to enjoying my backyard again without the wasps. You guys are the best. Honestly! Great job! 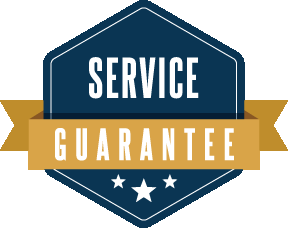 We had recently switched to another pest control service because they offered a lower price. They were awful! They would reschedule us without even asking and never even showed up once in our three months with them. When I came crawling back like the bugs you kill, Taylor was an amazing rep to talk to!!! You guys not only scheduled us way faster than when they could come but you called back and ended up coming THAT DAY within a half an hour with a very kind pest-control agent. His name was Dave and he was personable with my kids got the job done quickly and was awesome! Taylor even scheduled another free visit a week after Dave came to make sure everything was going well. We had never known what another company was like because Preventive was the first one we had ever tried. Looking back, I see that we already were recovering TOP notch service and shouldn't have left. We won't leave you guys ever again! Unless we move…Can you please move with us? Very pleasant and friendly. Able to answer all of my questions with knowledge and courtesy.